A crown, sometimes referred to as a cap, is a hollow, artificial tooth that sits over an existing tooth or implant. A crown can strengthen a tooth after root canal treatment, repair a broken tooth, or fix a tooth with decay too large to fill. Cosmetically, crowns can be used to improve the colour or shape of your existing teeth. They can be made of acrylic, porcelain, metal or a combination of porcelain and metal. Crowned teeth look and function much like your natural teeth. A bridge is a permanent replacement for a missing tooth. 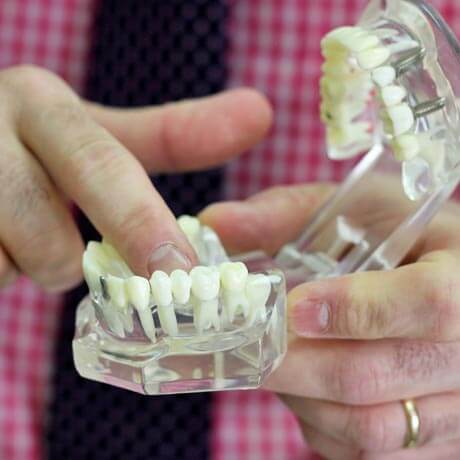 Unlike a partial denture, a bridge is cemented to the teeth and cannot be removed. Typically, an artificial tooth is supported by teeth or implants on both sides of a gap. The supporting teeth are generally prepared as crowns which are fused to the artificial tooth. In some cases a bridge can be used to replace more than one tooth in an area. Root canal treatment is done to save a tooth in which the nerve has become infected. In the past, these teeth were often pulled. However, with advances in dentistry, we are usually able to save infected teeth with root canal treatment. Root canal treatment involves removing the infected nerve (pulp) of the tooth and cleaning out the pulp canal. After it has been cleaned, your dentist will fill and seal the canal. Root canal treatment may be done in one or two appointments. Teeth that have been treated with a root canal often need a crown afterwards. This is because removing the pulp leaves the tooth more brittle and prone to fracture under strong biting forces. 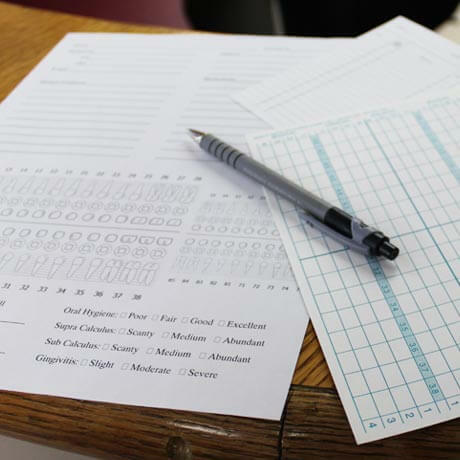 During your routine dental exam, your dentist will check for cavities as well as any loose or broken fillings. 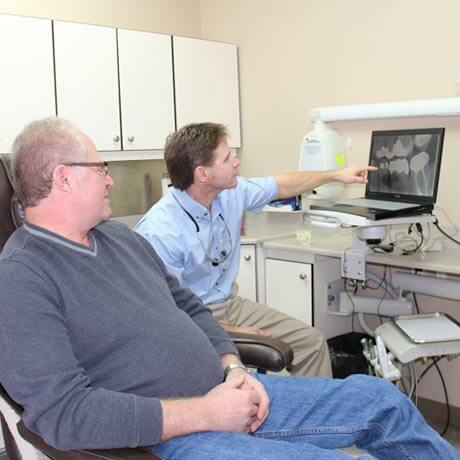 He may use x-rays to check for problems between the teeth or under existing fillings. If a large cavity is not filled, it may become painful and require more extensive treatment such as a root canal or extraction. Composite fillings are often called "plastic" or "white" fillings – referring to the type of material used. Your dentist will first remove the decay and apply a bonding agent on the tooth. He will then place the composite resin material in the hole in layers, hardening it with a special light. Once the last layer of the filling is hard, he will shape and smooth the filling material so it contours to your natural tooth. Amalgam fillings, sometimes referred to as "silver" fillings, are made of a mix of metals such as mercury, silver, copper and tin. They are typically only used to fill back teeth because of their dark colour. An amalgam filling may be chosen over a composite resin filling in an area that cannot be kept dry during placement.